Local authorities in Chile are investigating a crew member going overboard from Norwegian Sun on Tuesday morning. Costa’s passengers will soon have a new, very Italian experience to enjoy aboard all their ships. 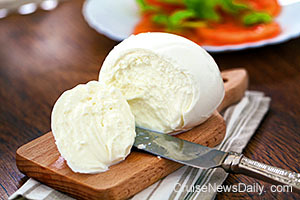 They will enjoy fresh buffalo mozzarella paired with an assortment of quality Italian specialties. But this mozzarella isn’t just fresh, it’s beyond fresh because it’s made on the spot. Passengers will be able to observe the cheese being made from the start of the process with buffalo milk curd to the finished product which they will be able to sample while it is still warm. 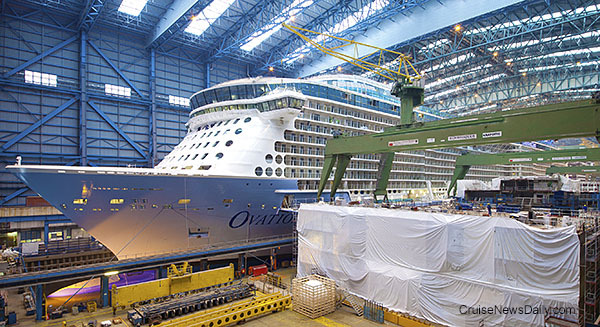 The complete story appeared in the February 19 edition of Cruise News Daily. Yesterday, Meyer Werft floated out Ovation of the Seas. If you tuned into the Meyer webcam, you were the first to see the ship come out, but admittedly, it happens with the speed of paint drying. Meyer has released a video which speeds up the process tremendously, and lets you see the event from some unique perspectives only the shipyard could provide. For many people going to Alaska, one of the biggest thrills is sport fishing and catching their own salmon or halibut, and then having it processed and shipped home to dine on just days after it was caught. Now Princess Cruises can do something even better for you. Imagine catching your salmon this afternoon, going back to the ship and having it served to you that evening. You can’t get it any fresher than that. Holland America has another video series beginning about Koningsdam. This one is a conversation with the ship’s interior designer Adam Tihany about his design concepts for the ship. In the first video he reveals how the “Architecture of Music” and the curves of particular instruments influenced public spaces on the ship. Houston’s KPRC is reporting that when the winter cruise season ends in a few weeks (April), and Norwegian Cruise Line and Princess Cruises leave, Houston’s Bayport Cruise Terminal will likely be repurposed for cargo use. Ovation of the Seas has now seen the daylight. 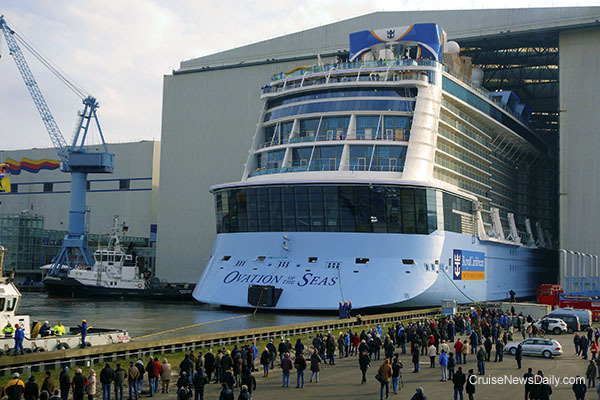 The ship was towed out of the building dock this afternoon at Meyer Werft (early morning in the US). Ovation of the Seas departing the building dock today. Norwegian Cruise Line says they were overwhelmed by the popularity of the Supper Club show “For the Record” aboard Norwegian Escape, Norwegian is moving it to the (main) Escape Theater and making it a complimentary show. It will leave The Supper Club on April 9 and reopening in the Escape Theater a week later on April 16. This will set off a series of entertainment changes across two ships. Passengers aboard Disney Wonder were atwitter Tuesday when the ship rescued a couple from a sailboat in the Florida Straits which had sent a distress call. What the passengers didn’t know, however, was who the couple was, why they were on the sailboat and that a bigger part of the story was going to play out when the ship returned to Miami. Europe is being besieged by immigrants from Syria and the Middle East who are trying to avoid ISIS. Most countries have no where to house them in the huge numbers in which they are arriving, so they are forced to become creative. Sweden has employed an unusual solution in an effort to provide temporary housing which the immigrants are being processed. They’ve hired a cruise ship, Ocean Gala, and docked it in Harnosand. Have any plans for breakfast on Thursday (or lunch for our European readers)? If not set up your laptop or tablet and watch Ovation of the Seas make her official debut while you have your coffee. Meyer Werft has scheduled Ovation of the Seas to float out of their covered building dock at 12:30pm on Thursday (6:30am Eastern time). Actually, International Game Technology says the WOF slots are their most popular slot machines of all time not only on Carnival ships, but also in land-based casinos. 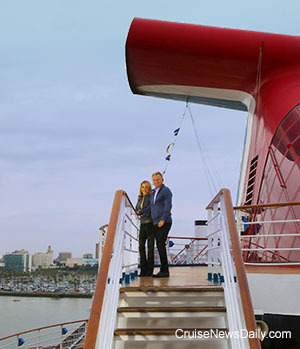 To celebrate the twentieth anniversary, they are giving away hundreds of Carnival cruises, and Wheel of Fortune will feature a Carnival Cruise-themed week on the show. Sydney Harbor had four high-end ships visit on Saturday that included a first. 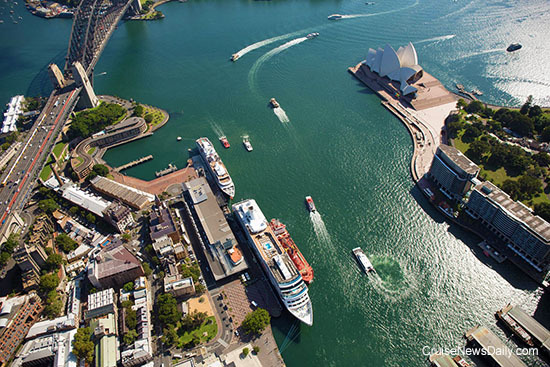 Two of them docked simultaneously at Circular Quay, adjacent the iconic Sydney Opera House. 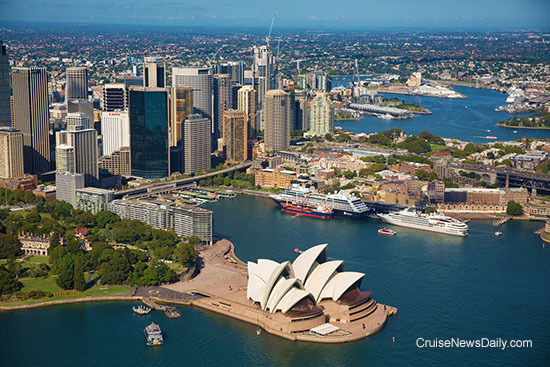 The two docked at the Overseas Passenger Terminal at Circular Quay were Ponant Le Soleal and Azamara Quest. Docked nearby at White Bay Cruise Terminal in Rozelle were Seabourn Odyssey and Silverseas’ Silver Whisper. Together they brought almost 3,000 high-end visitors to Sydney, injecting an estimated $2 million into the local economy. Photos copyright Nick Rains. All rights reserved. May not be copied or used without permission. A magician who performs aboard Disney Cruise Line being charged with sexual battery while between cruises.